London-born Anna Clyne is a composer of acoustic and electro-acoustic music. Her work, described as “dazzlingly inventive” by Time Out New York, often includes collaborations with cutting edge choreographers, visual artists, film-makers, and musicians worldwide. Appointed by Music Director Riccardo Muti, Clyne served as a Mead Composer-in-Residence for the Chicago Symphony Orchestra from 2010-2015, and is currently Composer-in-Residence for the Orchestre National d’Ile de France. She is the recipient of several prestigious awards and was recently nominated for a Grammy Award for Best Contemporary Classical Composition, for her double violin concerto, Prince of Clouds. Highlights for the 15-16 season include a new work for 100 cellos, commissioned by the Los Angeles Philharmonic, to be premiered at the Hollywood Bowl; This Lunar Beauty for the Britten Sinfonia with soprano Anna Dennis; This Midnight Hour, to be premiered by L’Orchestre National d’Ile de France at Philharmonie de Paris and with a US premiere by the Seattle Symphony; and a new orchestral ballet for the Cabrillo Festival with conductor Marin Alsop. Clyne holds a first-class Bachelor of Music degree with honors from Edinburgh University and a Master of Music degree from Manhattan School of Music. Her music is published by Boosey & Hawkes. Where is the border between language and music? How does sound harden into signification, and how does language break down into song? 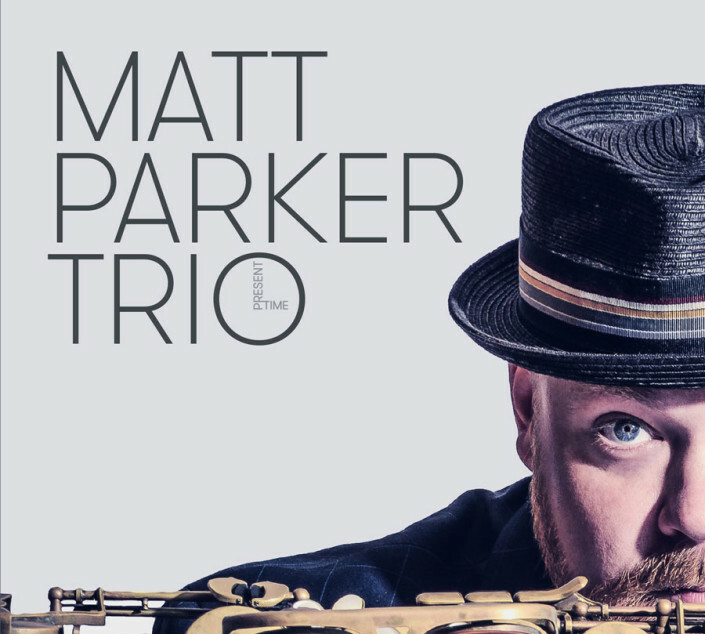 The past, present, and future of jazz brilliantly coexist on “Present Time”, the second album by tenor and soprano saxophone virtuoso & visionary composer Matt Parker. Parker and his fellow travelers – bassist Alan Hampton & drummer Reggie Quinerly – constantly shift the listener’s awareness of time through music, from the march rhythms of New Orleans to the stark freedom of group improvisation.Special Guests include Michael Arthur, live drawings, and Emily Braden, vocals.